The 2.54-ha mixed residential and commercial site at the Bidadari have garnered a total of 12 bids – with the top bid of $1.132 billion coming in from a joint-venture between Singapore Pressing Holdings (SPH) together with Kajima Development. The top bid translates to approximately $1,181 psf ppr based on the maximum GFA (gross floor area) of 958,450 square feet for the 99-year leasehold plot situated next to Woodleigh MRT Station. It was released for sale under the Confirmed List of the H2 2016 Government Land Sales (GLS) programme. SPH & Kajima’s bid was just a mere 1.3% higher than the 2nd highest bidders from a joint-venture between Far East Organisation (FEO) and Sekisui House ($1.12 billion or $1,166 psf ppr). 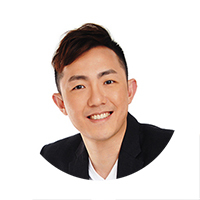 The tender has also witnessed the involvement of some of the “regular faces”, such as Guocoland (developer for the upcoming Martin Modern in District 9), City Developments Ltd (developer of Venue Residences in the Potong Pasir precinct) and Frasers Centrepoint (developer of Seaside Residences). 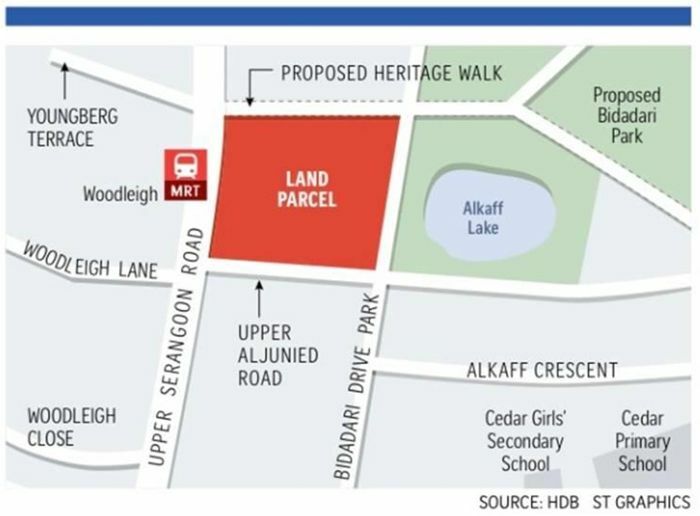 Analysts have deemed the top bid from SPH & Kajima to be bullish, as it was noticeably 50% higher than what MCC Land acquired back in August 2014, for the site next to Potong Pasir MRT Station – which is currently planned for the mixed-use project The Poiz Centre and The Poiz Residences. It was also noted by analysts that the higher land price is a clear reflection of the current buoyant sentiment in Singapore’s property market. The main draw for property developers would be the first-mover advantage to capture the demand for private homes in this newly built housing estate. On top of private condo units and a mall, SPH & Kajima have mentioned that the concept of the future new launch project will be based on having a community in a garden. The developers are looking to build a community club and a neighborhood police post spanning across 65,000 and 20,000 square feet of space respectively. Also, there will be a commercial bridge which will be linked Bidadari Park and an underpass walkway to the future bus interchange. 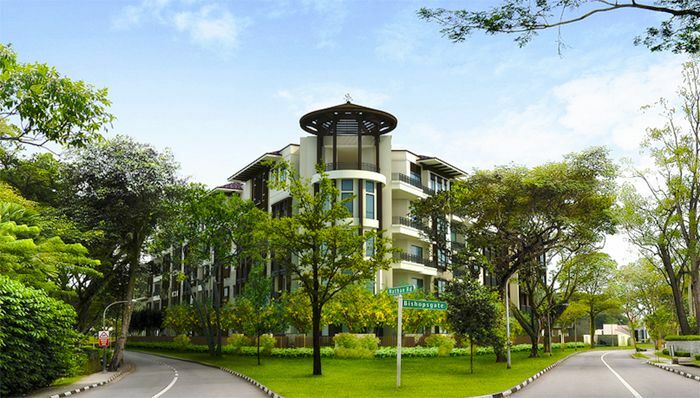 Market watchers have also attributed the demand to the site’s close proximity to the city center and yet residents in future are able to enjoy some of the lush joyous green surroundings which are being part of the plans for the Bidadari estate. Media group SPH is, in fact, involved in various commercial real estate developments in Singapore, such as Paragon, Clementi Mall and Seletar Mall – via their sponsored REIT (real estate investment trust). The last residential project was [email protected] – a freehold condominium project at Thomson Lane, completed back in 2010. Their partner for the Bidadari site, Kajima Developments have been involved in developing an office project at 72 Robinson Road in the Central Business District and high-end residential projects such as Bishopsgate Residences and also Sui Generis.